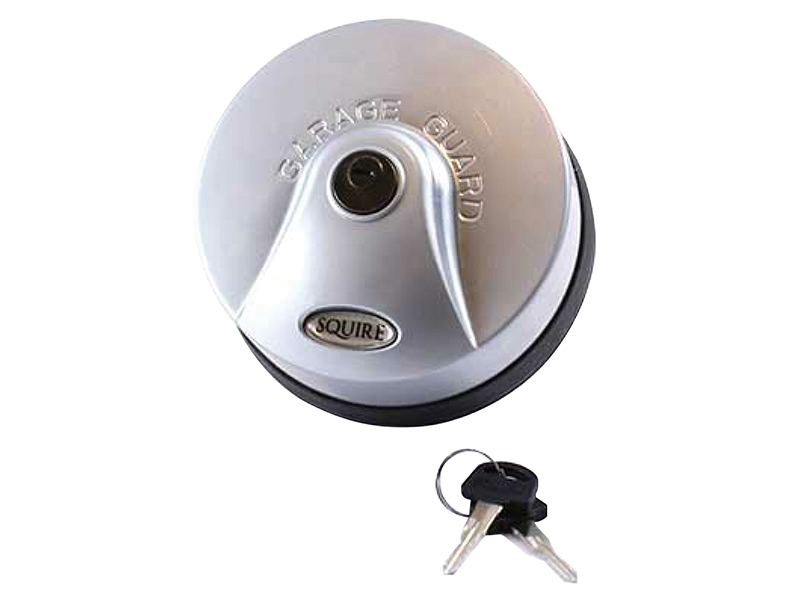 The Squire Garage Guard™ is for securing ‘up-and-over’ garage doors with T-Handle locks. It prevents opening the garage door by forcing the 'T' Handle. It secures the 'T' handle even if it is broken, damaged or if the 'T' Handle itself isn't locked. The Garage Guard rotates freely when attacked, resisting levering and forcing of lock. It acts as a visible deterrent - thieves can clearly see that the garage is secure. It is easy to fit, lightweight and easy to use - no DIY skills needed. Fits the majority of 'T' Handles - suitable for most 'Up-and-Over' garage doors.